As a student working in our female-dominated hospitality industry, it’s hard to ignore the change in gender organization upon entering a management role. While women have made their mark in recent years, men are still holding the majority of positions in upper management. We want to get to the bottom of this change by speaking to the women who are currently experiencing it across different sectors of hospitality. Topics will include work/life balance, the stereotypes and barriers that exist for women, how we have overcome them, and how we see the future for women in management of hospitality. This event is open to all (both men and women) students, faculty and staff! Stay tuned for updates on the speakers, bios and more! For more details, please visit the facebook event here. For more details about International Women’s Day and the 2014 theme of inspiring change, click here. This event is brought to you by the University of Guelph Sustainable Restaurant Project and the Hospitality, Food & Tourism Management Student Association. 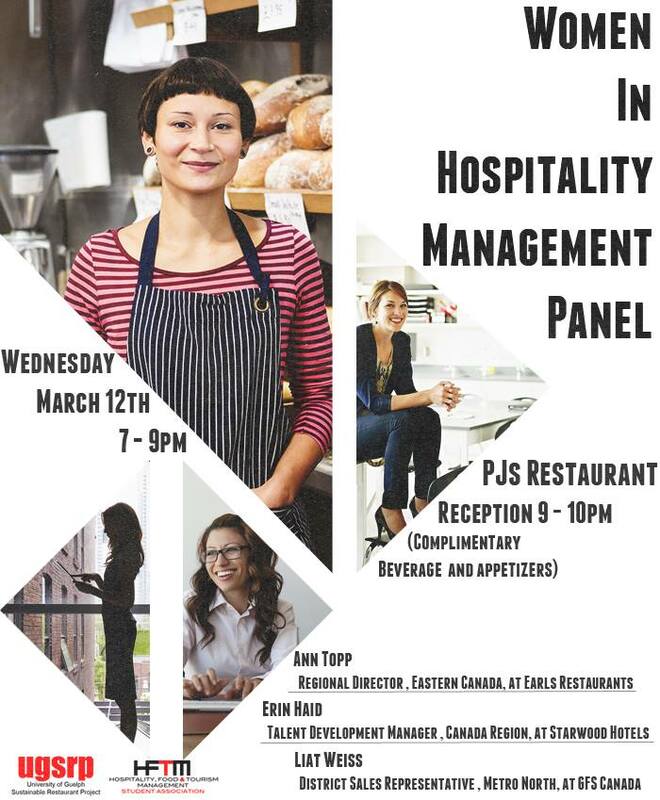 Posted on March 4, 2014 February 9, 2016 by stephcwalkerPosted in Annual Symposium & EventsTagged Hospitality Industry, Panel Speakers, Women.